The above screencap looks innoccuous enough. Heck, it’s just all-American hero Phil Mickelson staring at the crotch of a man standing in the middle distance. No biggie, right? 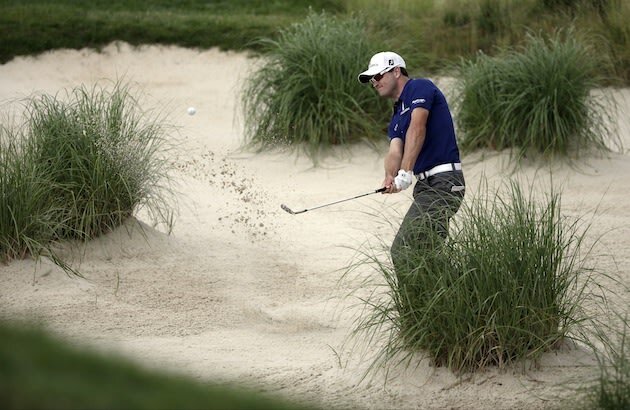 Is this Merion’s major swan song? I’ll save my critique of USGA setups for a little later in the week — I know, the suspense! — but suffice at this point to say, Merion is fulfilling its brief admirably. Mike Davis and his cult of par-worshippers couldn’t have asked for more. Bogeys are far more plentiful than birdies; players are beginning to eye shots with that slightly haunted, nervous look; and with every hour the course stays dry, scores tick steadily skywards. There will be no 62s this week. Nothing to see here, people; move along. 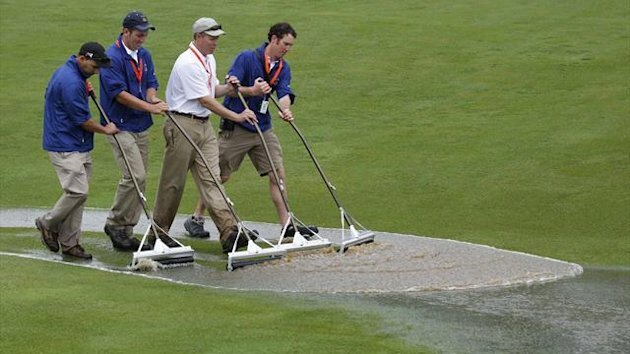 All eyes were on Tiger Woods for this morning’s conclusion of the rain-interrupted first round. The world No1 looked to be nursing a wrist injury — possibly sustained as early as the first hole — as yesterday’s action drew to a close, but refused to be drawn on the subject overnight, opting instead to issue a charateristically terse dismissal of the subject through USGA channels. For the gamblers out there — which is probably just about everyone if you’re a golfer — below are various odds to win and head-to-head match-ups from @GolfOdds. Guess what?! Tiger is still the favorite!